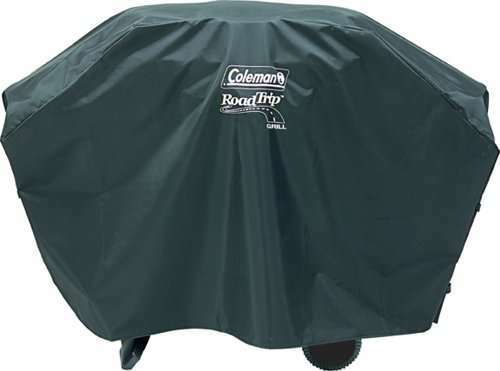 The Coleman RoadTrip grill cover is made from PVC coated material to protect your grill from all the weather conditions. The full Coleman RoadTrip grill cover review will tell you everything we found out about this grill cover. The used material is Heavy duty PVC coated and this resist cracking and fading and to be honest I read a lot of good comments about the quality. This Coleman grill for the Roadtrip is recommended as a one size fits all and it is true. The Only problem is is that is a little big for some Roadtrip grills, but that is not a problem. To big is better than to small and the strap at the bottom takes care of that. 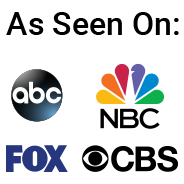 “I have been using the cover for a few weeks now and am overall pleased with it. It is durable, comes on and off easily and looks good with the Coleman logo on both sides. it is a little too large (that’s certainly better than it being too small for sure) and the Velcro tabs are just OK- like most I imagine, I leave one side open to get it on and off and rarely use the Velcro. It does not happen to much that something made in China get these kind of good reviews. An average of 4.6 out of 5 stars is a very good rating. The only thing we could find is that it is a little big for a lot of Roadtrip grills. But in my opinion that is better than to small. The Velcro straps are a little small with their 1/2 inch, but they seem to work very well. One buyer mentioned that he used a bungee cord as an extra and that worked even better in windy situations. The Quality and durability has been talked about as very good and I read someone had this grill cover for many years. Overall we can recommend this as a good by for your Coleman Roadtrip Grill and The price is a reflection of the quality.